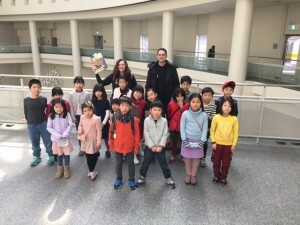 March 5th was the annual BIG BOW English Lab museum excursion. 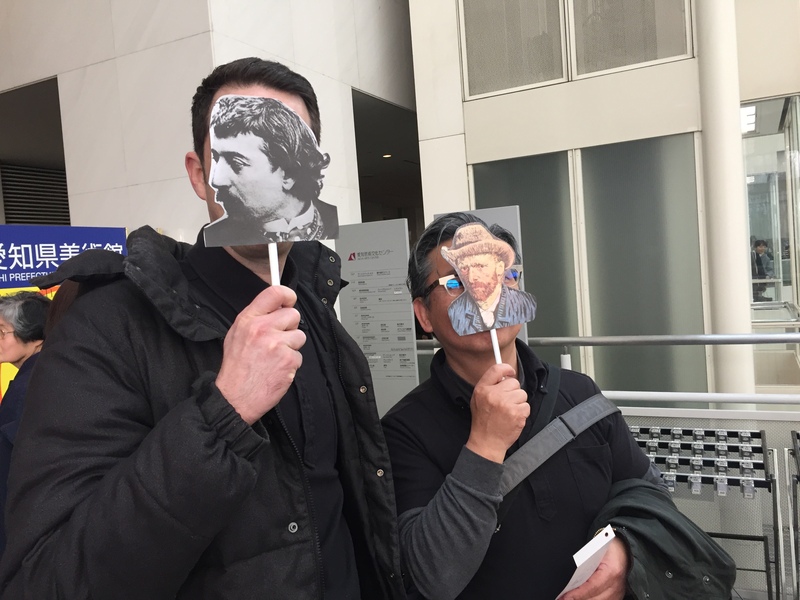 This year I was really wondering if we were going to have a museum trip or not because there weren’t any interesting exhibits. 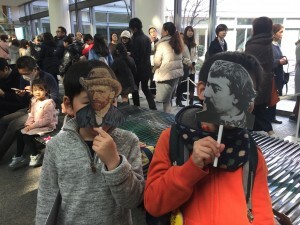 I was so relieved to see in January that the Aichi Arts Center would be putting on an exhibit of Vincent Van Gogh and Paul Gauguin’s paintings, one that would also focus on their friendship. 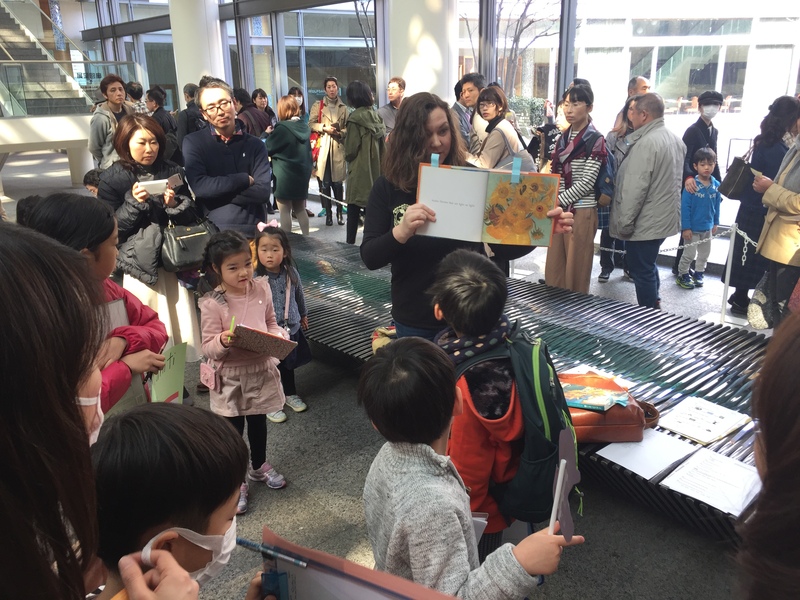 I knew an exhibit about such popular painters would be well-attended, but we were shocked on Sunday to see so many people lined up before it even opened! However, thanks to the professional staff at the Aichi Arts Center, everything was well-organized and our group could easily move around the exhibit and see the paintings as many times as we wanted. Before we entered the museum, we had a quick review of how Van Gogh and Gauguin’s lives intertwined. Van Gogh was born in the Netherlands and came to Paris to paint, where he met Gauguin. They moved to the south of France to paint, which pleased Van Gogh because he dreamed of starting an artists’ colony. However, the two friends quarreled often. One of their last quarrels led to Van Gogh cutting off his ear and Gauguin leaving. (There was speculation by art historians that Gauguin had cut his ear off with a sword, but most say now that did not happen.) Even though Van Gogh and Gauguin never saw each other again, they exchanged letters. A few years after Van Gogh died, Gauguin moved to Tahiti. One of his last paintings was displayed in the exhibit – a painting of sunflowers, representing Van Gogh, with a scene of Tahiti outside the window, the place where Gauguin lived at the time. Everyone had a great time and we all learned a lot about these two great artists! I hope another great exhibit comes to Nagoya next year. 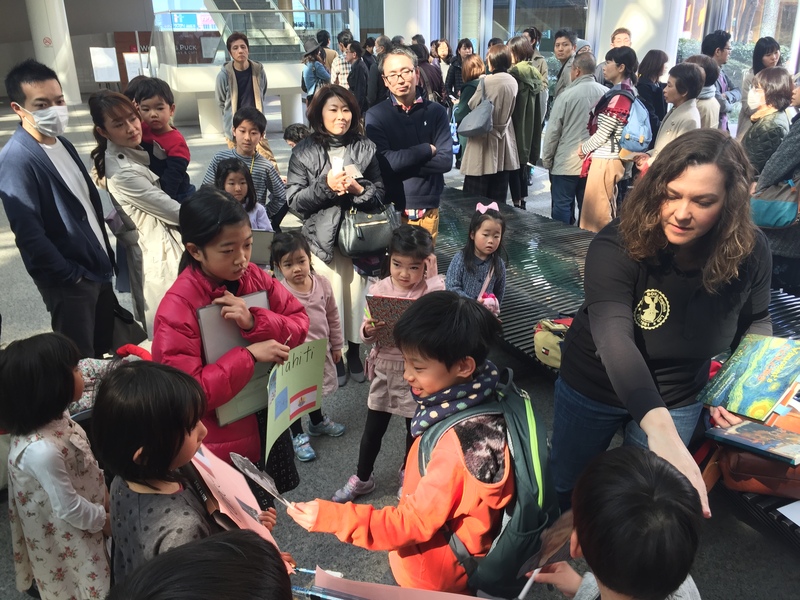 Welcome to Lesley Ito’s Blog! Putting my mother and father to work! (C) 2019 Big Bow English Lab.